On Monday, May 21, the shadow of the Moon swept over the Earth, treating observers in North America and East Asia to an annular eclipse. Though it was not visible in Belgium, a pair of Belgian instruments on the PROBA2 had a spectacular view of the eclipse from orbit. On Monday May 21, between 00:10 and 03:36 Belgian time, the shadow of the Moon swept over the Earth. An observer in this shadow band could see for several minutes the Sun partially covered by the Moon. If you were in the center of the shadow band, you could watch an annular eclipse: the Moon covers the solar disk, but not completely; the outer ring of the solar disk will still be visible. In Belgium, we were not able to watch the solar eclipse since the Moon’s shadow did not pass over Belgium. It was nighttime and we were on the backside of the Earth at the time of the eclipse. But, PROBA2, an ESA micro-satellite with Belgian instruments onboard observed the solar eclipse, up to 4 times! PROBA2 circles Earth in 100 minutes and passes 4 times through the shadow. SWAP, an EUV camera onboard PROBA2 filmed the solar eclipse 4 times. PROBA2 flies at a height of 700 km above the Earth’s surface. This enables the satellite to have an earlier glimpse of the solar eclipse: SWAP saw the first contact on Sunday May 20 at 23:09 Belgian Time. The last contact finished on Monday May 21, 05:04 Belgian Time. Apart from the science aspect, the solar eclipse gives the PROBA2 researchers the opportunity to characterize the pixels of the EUV-camera. 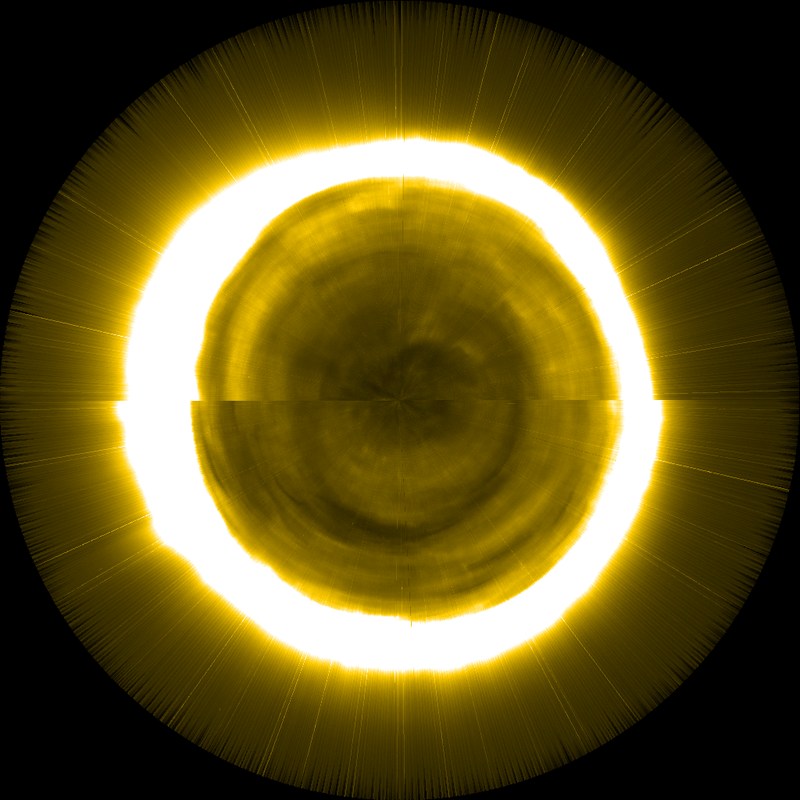 The places where the lunar disk covers the Sun, should give a black EUV image. But scattered light and noise can lighten up a pixel. The solar eclipse will help to determine how good or how bad a pixel is performing. LYRA measures in 4 band passes measuring irradiance from the photosphere up to the corona. The signal becomes less intense during an eclipse as part of the solar radiation is blocked by the Moon. But the decrease and afterwards the increase is not always symmetric as you would expect: active regions contribute the most to the coronal signal and they are not spread symmetric over the solar disk. The simulation shows the Sun, a yellow ball and the Moon, a red ball. The animation is a nice exercise to model the orbit and the relative positions of the sky bodies. The differences between the longer-wavelength observations (channels 1 and 2, ultraviolet radiation) and the shorter-wavelength observations (channel 3 and 4, extreme ultraviolet [EUV] and soft X-ray [SXR] radiation) demonstrate the inhomogeneous distribution of EUV and SXR radiation across the solar surface. 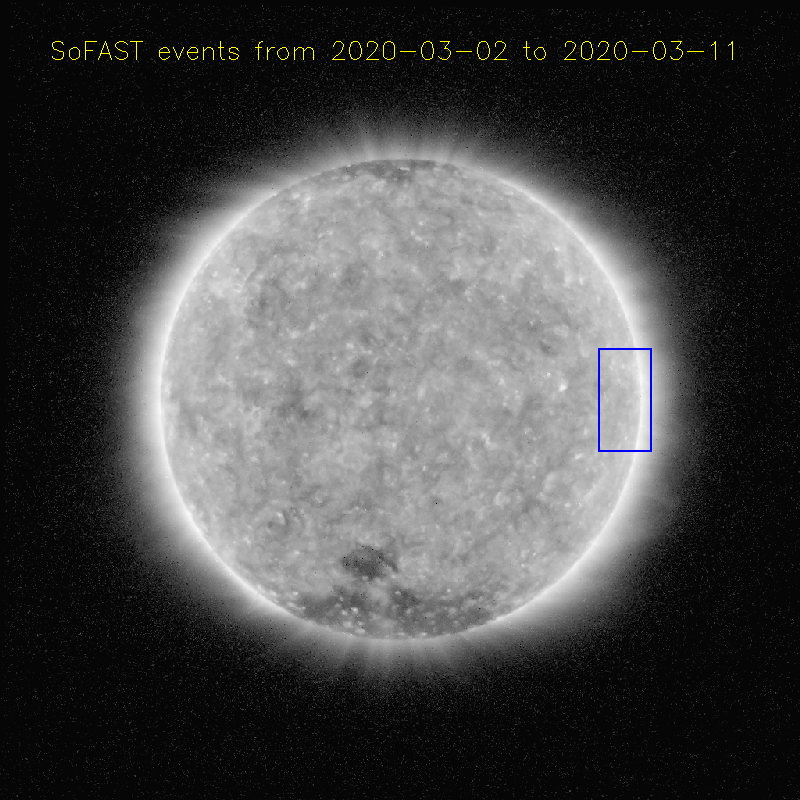 This is especially visible in passes 2 and 4, where the solar disk is hardly touched, but the off-disk active regions are significantly covered by the lunar disk (compare SWAP movie). Channels 1 and 2 have degraded to such a degree that they are extremely sensible to artifacts like the regular spacecraft rotations or temperature changes, i.e. the data must be interpreted carefully. About the Sun Watcher using Active Pixel System detector and Image Processing, SWAP telescope SWAP is designed by the Centre Spatiale de Liège, CSL. The Royal Observatory of Belgium takes care of the operational activities. 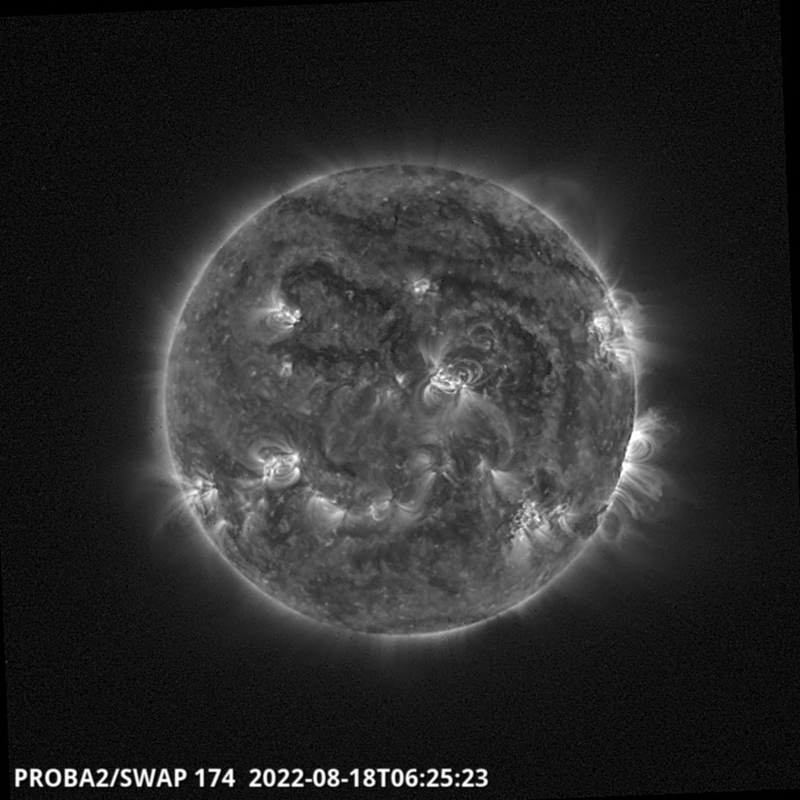 SWAP is an Extreme Ultraviolet solar telescope onboard of PROBA2. 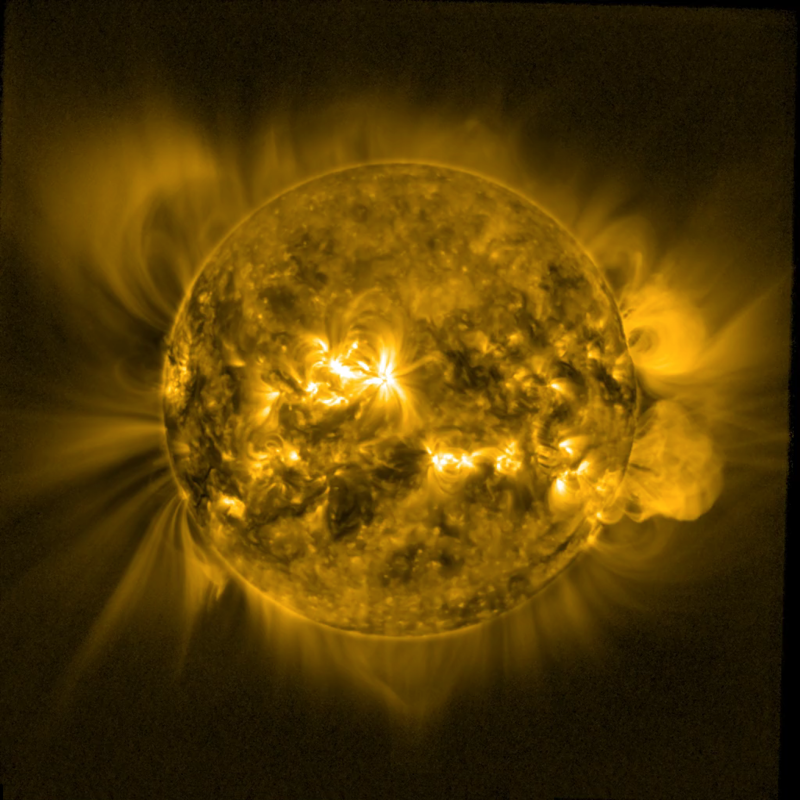 The instrument pictures the explosive and dynamical atmosphere, the corona, of the Sun. About LYRA, Large Yield RAdiometer LYRA is a solar X-ray and UV filter photometer, designed and manufactured by a Belgian–Swiss consortium. It monitors the solar irradiance in four passbands relevant to Solar Physics, Space Weather and Aeronomy. The PROBA2 Science Center (P2SC), headquartered at the Royal Observatory of Belgium, handles all aspects of mission science planning and instrument commanding for SWAP and LYRA as well as processing and distribution of all SWAP and LYRA science data.